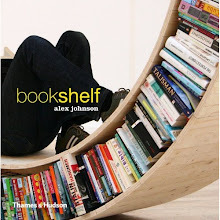 All that is needed to make a shelf are three lines and six connections at the corner of a wall. Bright in color, yet almost invisible, this shelving is adaptable by the simple placement of store bought eyelet screws along a wall and nylon rope tied at both ends. the back string. 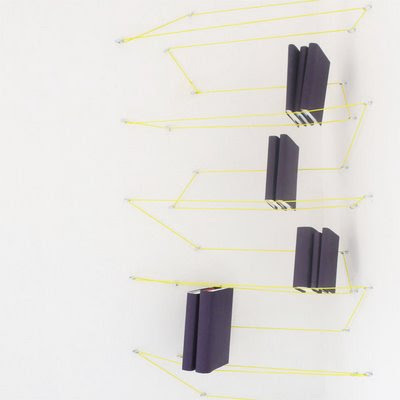 This system can be strung as one shelf or as an interconnected corner shelving unit.